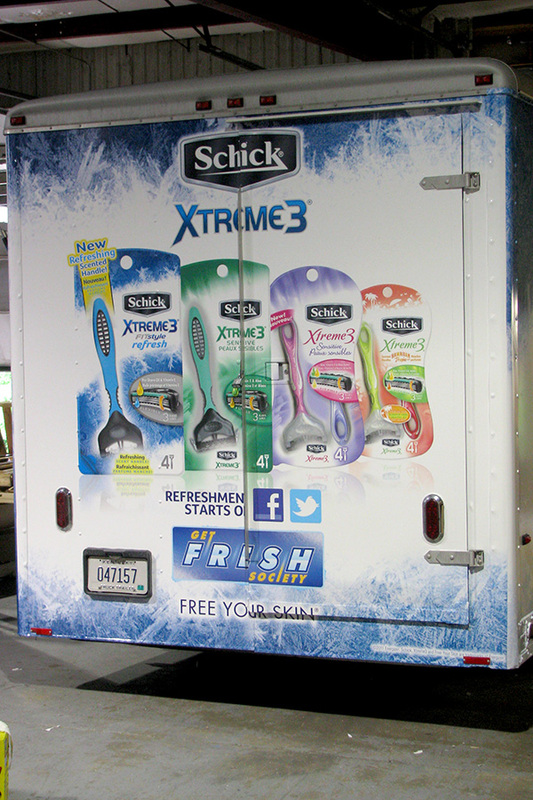 Enhance a Colour helped to announce the Schick® Xtreme3® Scented Razor. 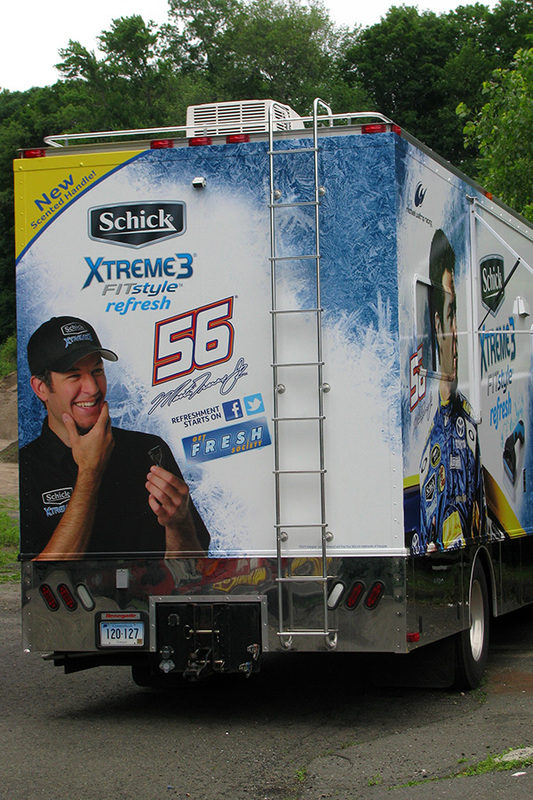 Schick, partnered with Martin Truex, Jr. and the Michael Waltrip Racing Team, supported the product on the Race Circuit. 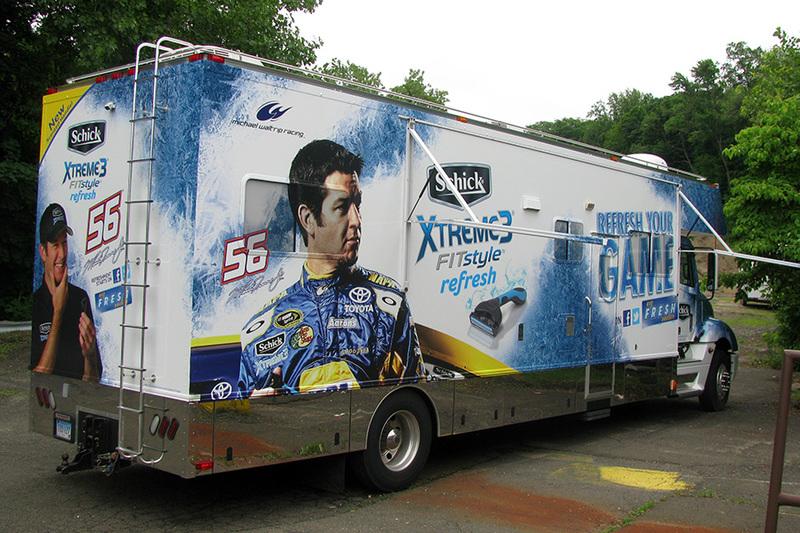 Martin Truex, Jr. was the sponsor’s spokesman for the duration of the campaign, participating in meet and greets with the attendees at the in-field campgrounds. 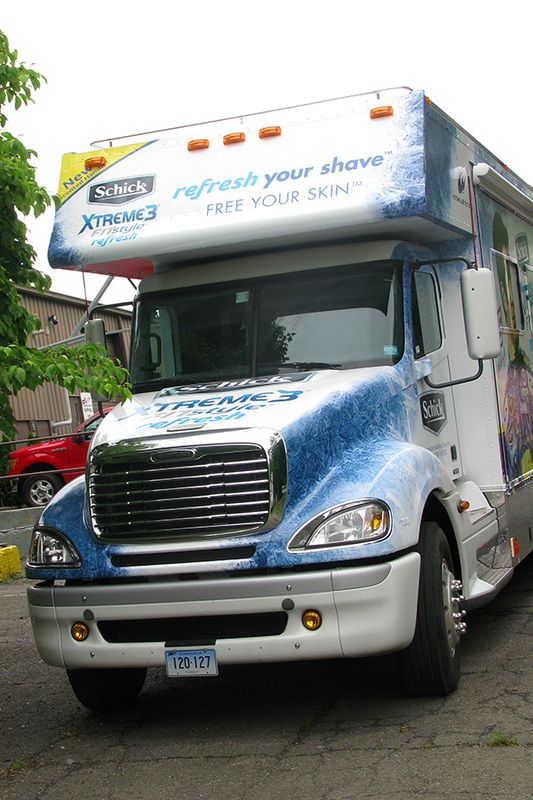 The attendees were offered the opportunity to test drive the new razor at the Schick® Xtreme3® RV’s shave stations. They were given free samples and were able to cool off at the misting station which featured the scent of the razor diffused into the mist. 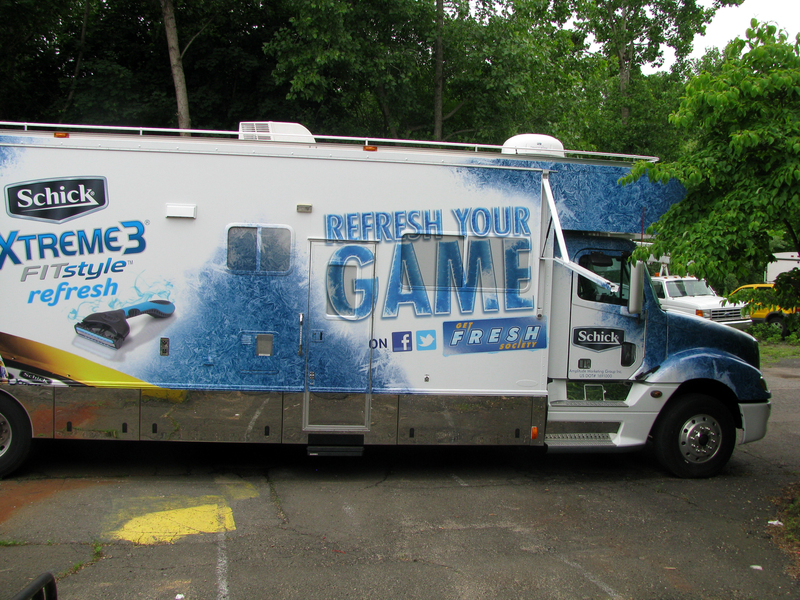 A sweepstakes offered through Facebook gave the participants a chance to win prizes geared toward refreshing their lives. 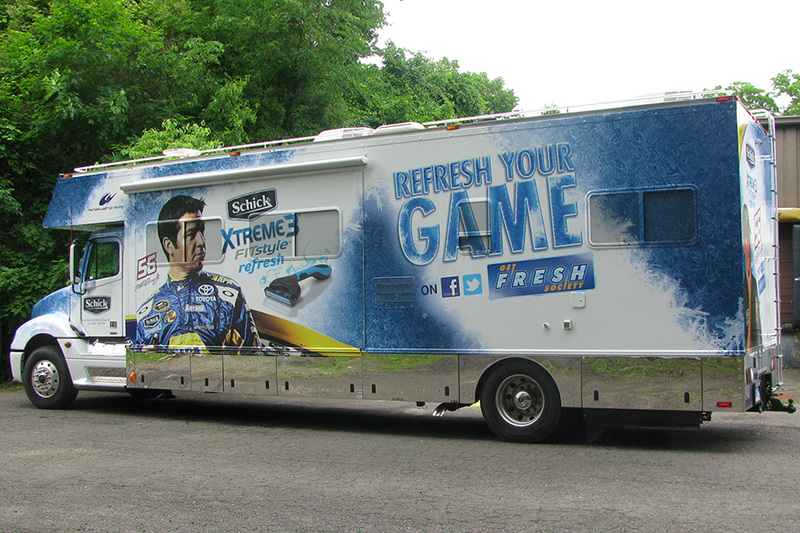 EaC provided the various graphics for this tour; from the RV and pull-behind trailer vehicle wraps to the displays, banners and signage. 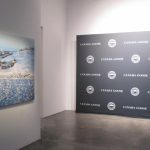 Our pre-production crew along with our installation team worked together to create the creative graphics for this mobile event. 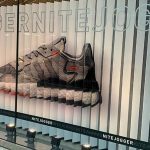 Many elements came together to create this eye-catching marketing package. 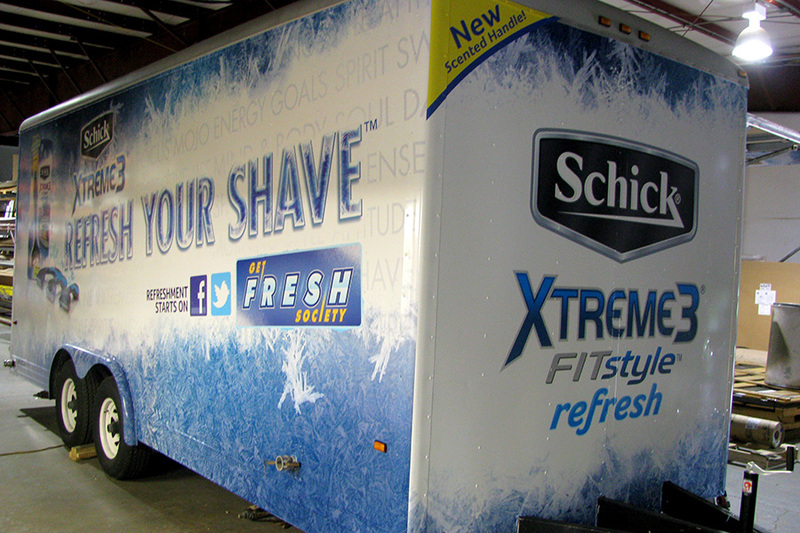 The 29 foot RV and 30 foot pull-behind trailer were printed and wrapped over a 5 day period using 3M adhesive vinyl graphics. 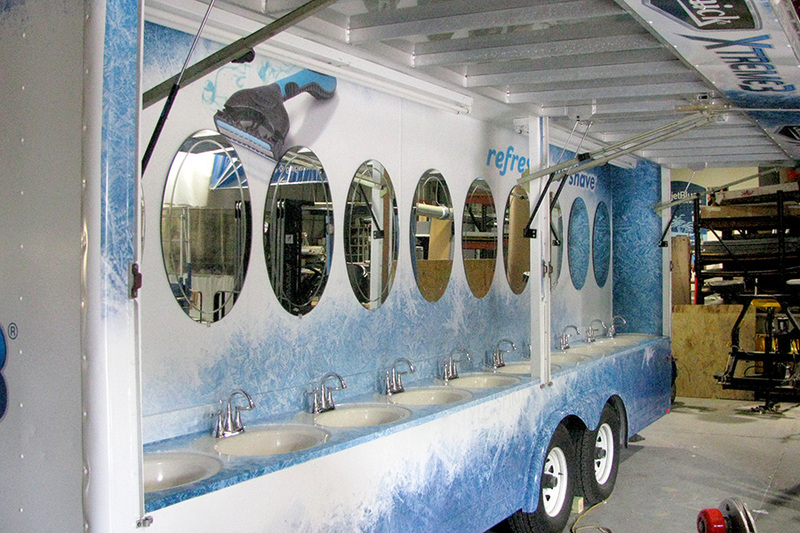 The pull-behind trailer was designated as the shaving station and contained 10 sinks and mirrors where the countertops were also wrapped with vinyl adhesive graphics. 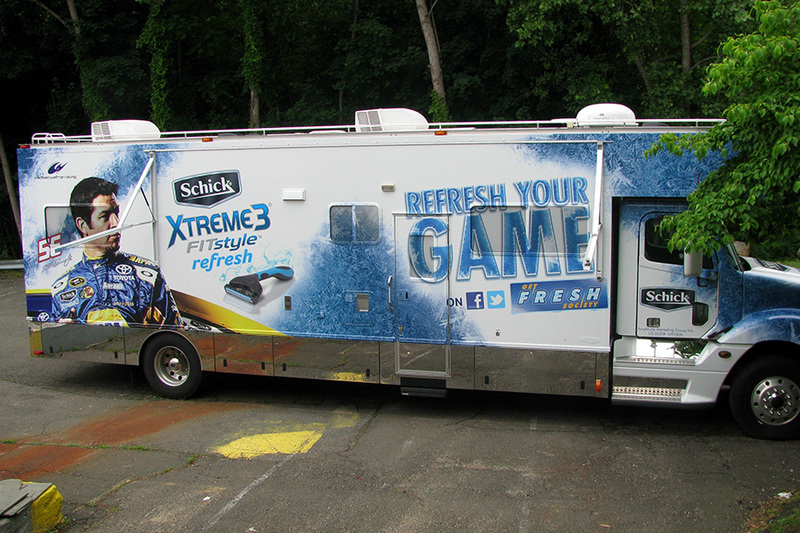 The RV got a full wrap and a customized Sunbrella Awning which was printed with the Schick® Xtreme3® FITstyle™ Refresh logo using dye-sublimation printing to the Sunbrella material. 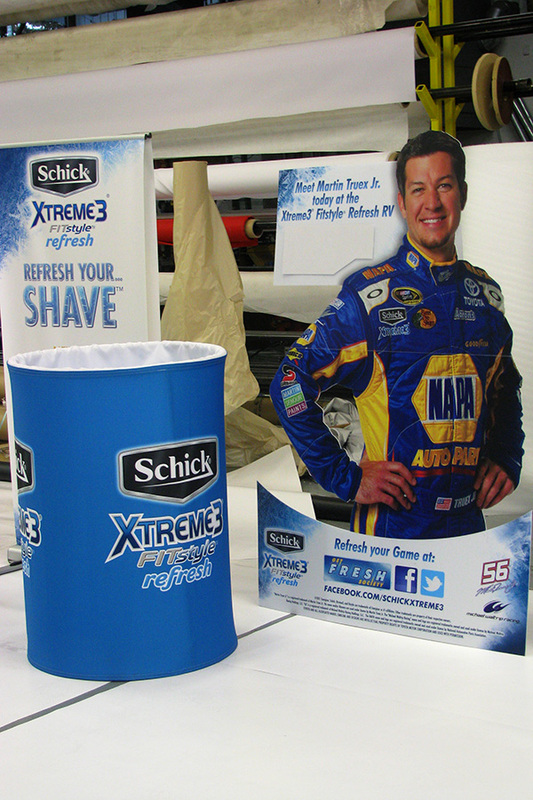 The razors for the shaving station were stored in product cans that were wrapped in dye-sub printed fabric and easily broke down to fit into a custom made carry bag. 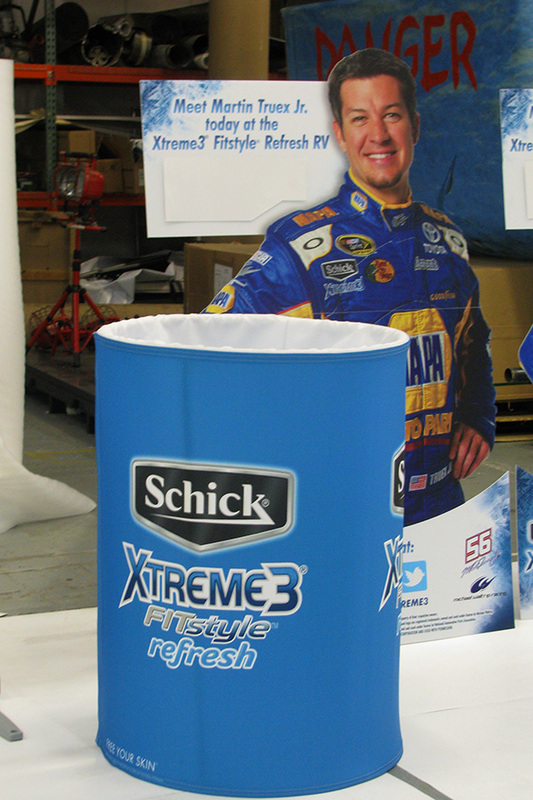 We also produced a dry erase Prize Board with a custom welded steel frame and three standees of Martin Truex, Jr. that were digitally die-cut to shape. 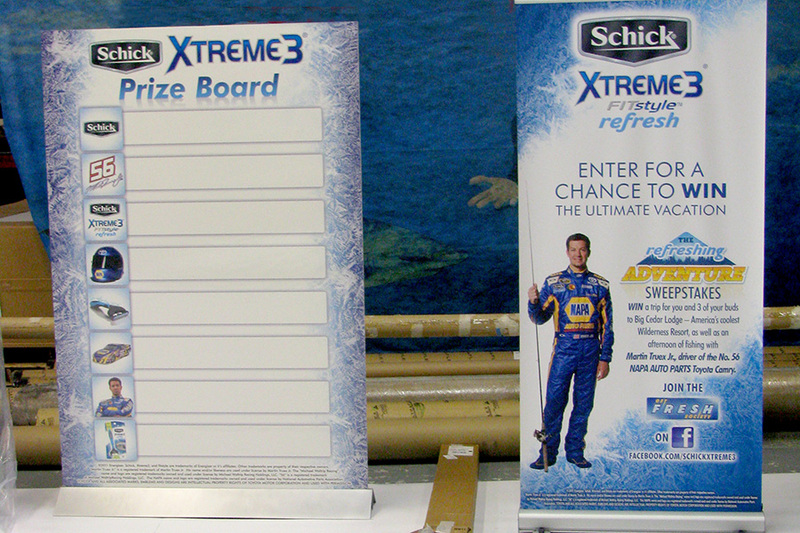 Additionally, we printed four outdoor double-sided vinyl banners with Sweepstakes information for retractable Pull-Up canisters.